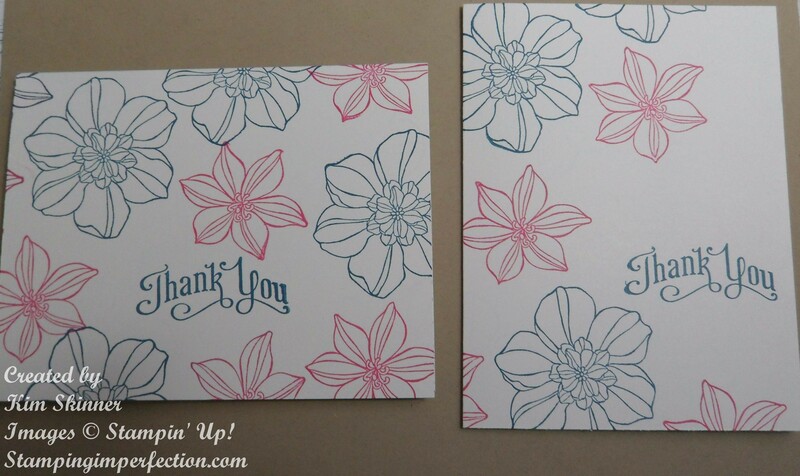 One Layer Cards with Stampin’ Up! One of my absolute favorite stamp sets is the Secret Garden Set. I can’t believe how versatile this set is!!! 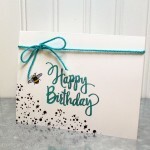 For today, I wanted to share a very simple one layer card with no embellishments. 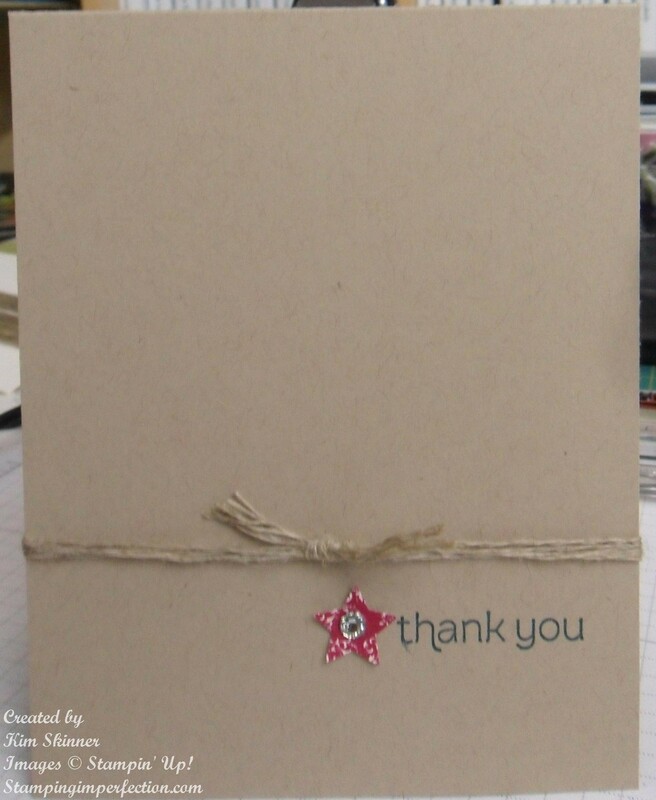 I have many customers who are just beginning to stamp and purchase supplies. When you only have a handful of paper, inks and stamps, you might feel like you can’t create a lot with them. 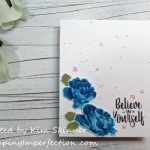 You really can make great one layer cards with just a couple of stamp sets, a couple of ink pads and a couple of pieces of card stock! Stamp some of the images off the edge of the card. Stamp odd numbers of images. In design, they call it the Rule of 3 when you design a card. This card would actually be just as pretty with only one color of ink as well. 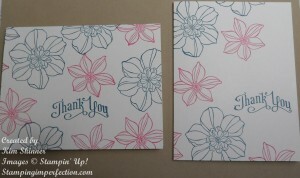 You really can make a pretty card that pops with just a few fabulous stamps and ink colors! Here is another one that I created. This one is truly clean and simple. 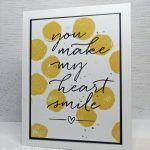 It’s not my usual card making style, but every now and then you need to step out of your comfort zone and create a card that isn’t what you usually create. You need to stretch those design muscles of yours! How simple is this? I used some linen thread (#104199), the Made for You stamp set (#126342) stamped in Island Indigo on Crumb Cake card stock. I also used a scrap piece of Print Poetry DSP (129312) punched with the star from the Merry Minis Punch Pack (#126882) with a rhinestone in the center (#119246). This did not require many supplies. One punch, card stock, one ink pad, one stamp set, linen thread and a rhinestone. We all start from scratch when we are starting a new hobby! You build your supplies and your stash a little over time. This is a perfect time to add to your stash and get some of those stamping supplies on your wish list! There is one more day of the FREE SHIPPING! Take advantage of the FREE SHIPPING offer that lasts until the end of the day on Monday, April 8 at 11:50 PM, MT!